This classic has a clear Connecticut Title. If you need me to get a CA title for this car there is a small fee included in the process. 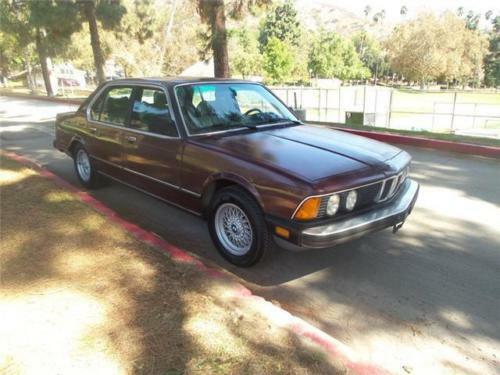 This ’85 BMW 735i 3.5 liter 5-speed car has 227,000 miles. It was owned by a BMW mechanic, and it was very well-maintained. This car drives amazingly. All of its components work as they need to. 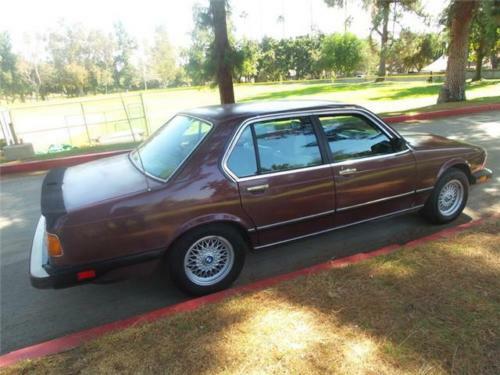 This car has burgundy outside, with tan leather interior. The car runs and drives straight. Work has been done to the plugs, oil and filter changed, full exhaust replacement, the clutch feels good, engine has good compression numbers, it is fast, and drives well, you can drive this car on a freeway with no problem and it shifts great through all the gears. The paint is a bit faded, but it is a presentable looking straight car that has never been in an accident. After-market Pioneer stereo, It has power locks, windows, seats, mirrors, sunroof, key locks. This car has plenty of parts that come with the car, they’re all included, I have manuals, and maintenance history from the previous owner. This is a rare BMW, you don’t see too many 5-speed ones out there.